Fabiano Caruana (born 30 July 1992) is an American-born Italian chess youngest grandmaster, former chess prodigy and the No. 2 ranked player in the world. 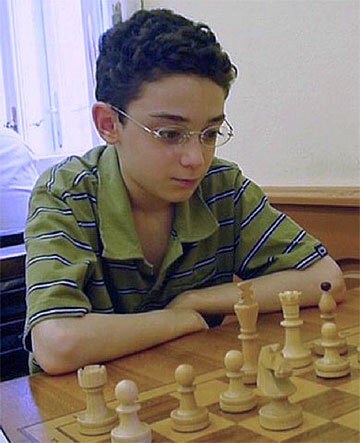 On 15 July 2007 Caruana became a grandmaster (GM) at the age of 14 years, 11 months, 20 days. The youngest grandmaster in the history of both Italy and the United States (later his record in the USA was beaten by Samuel Sevian). In April 2009 FIDE list, he has an Elo rating of 2649, making him the worlds highest ranked player under the age of 18. In October 2014, he achieved an Elo rating of 2844, becoming the third highest rated player in history. Fabiano Luigi Caruana was born in Miami, United States, to Lou and Santina Caruana. At the age of four his family relocated from Miami to the borough of Brooklyn, Park Slope, New York. At the age of five, his chess talent was discovered in an after school chess program at Congregation Beth Elohim in Park Slope. The same year he played his first tournament at the Polgar Chess Center in Queens, New York. Until the age of twelve, he lived and played in the United States, occasionally traveling to Europe and South America to participate in tournaments. His first chess coach, from age six to eight, was National Master (NM) Bruce Pandolfini. From age eight to twelve he studied with GM Miron Sher. In 2004 at age twelve, he relocated with his family from Brooklyn to Madrid to pursue a professional chess career. He trained with International Master (IM) Boris Zlotnik in Madrid. In 2007 he moved to Budapest to train with grandmaster Alexander Chernin. In 2010 Caruana moved to Lugano, Switzerland, and, at the end of that year, started to train with grandmaster Vladimir Chuchelov. Caruana is a “Benefactor” Life Member of the United States Chess Federation (USCF), and a member of the Italian Chess Federation (FSI). He has been a member of the United States Chess Federation since 1998, and a member of the Italian Chess Federation since 2005. United States (2013) – Caruana received an invitation from the United States Chess Federation’s Executive Board to the 2013 U.S. Championship. However, it was later determined that he could not participate since the U.S. Championship of 2013 was a zonal qualifier tournament to the 2013 World Cup. 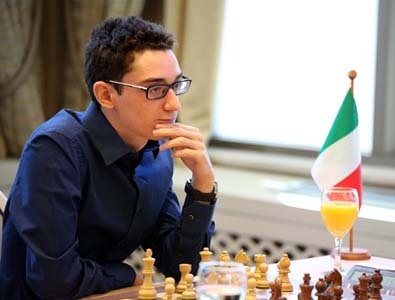 United States (2014) – Caruana received an invitation to the 2014 U.S. Championship but declined it due to schedule conflicts. 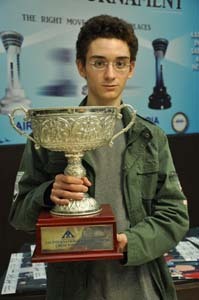 Italy – Caruana won the Italian National Championship in 2007, 2008, 2010, and 2011. He did not play the championship in 2009 and 2012. Caruana, possessing dual citizenship of both the United States and Italy, has the option of FIDE affiliation with either the United States Chess Federation or the Italian Chess Federation. He plays for Italy.